the harris project is leading the way in advocacy, transforming the treatment models for addiction and mental health to an integrated system of care that is co-occurring and complexity capable. 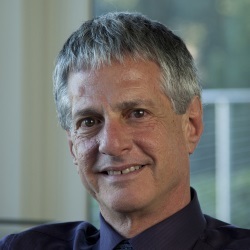 As the only national nonprofit committed to COD, the harris project brings together leaders in government; mental health; addiction treatment; higher education; community organizations; parent/peer advocates, and the private sector, with guidance from national experts, to begin the critical work of system transformation to create better outcomes for individuals with COD. In this endeavor, the harris project has been met with broad-based support. The evidence is clear — and almost every professional we have encountered believes — that when substance misuse/addiction, mental health disorders, trauma, traumatic brain injury, etc. are addressed simultaneously, the individual has the best chance to sustain long term recovery. Unfortunately, It has somehow become the norm for individuals to enter programs 5, 10, 12, 15 times and often die while traveling this splintered, siloed and costly road. By working to advance integrated treatment to meet individual needs, the harris project is solution-focused, success-driven, and collaborative in its efforts. 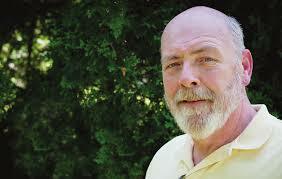 Following is a history of the harris project’s progress in New York State. In November 2015 the harris project’s board of directors decided to work toward the creation of a white paper on the best model for the treatment of co-occurring disorders based on the work of leading experts. 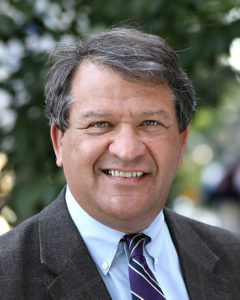 Willy Drinkwater, an adjunct professor in addiction counselor education at the University of Massachusetts, contributed his knowledge and helped shape early planning. It was decided that a roundtable of local officials from government, healthcare and the private sector would be the next step, and officials from Westchester and Putnam Counties in New York agreed. Plans were made to hold the Co-Occurring Mental Health and Substance Use Disorders Integration Roundtable, for the “development and initiation of guidelines around an integrated, comprehensive, patient-centered treatment plan, employing evidence-based best practices.” Westchester and Putnam counties agreed to be part of the event. As planning for the roundtable progressed, the harris project consulted Dr. Ken Minkoff of ZiaPartners, Inc., a board-certified psychiatrist who is one of the nation’s leading experts on integrated treatment of individuals with co-occurring psychiatric and substance disorders (ICOPSD). He is recognized for his work on recovery-oriented integrated services for individuals and families with co-occurring mental health, substance use, and health conditions. Dr. Minkoff developed a welcoming, recovery-oriented, integrated system of care implemented through a national consensus best practice model: the Comprehensive Continuous Integrated System of Care (CCISC). Dr. Minkoff is a board-certified psychiatrist with a certificate of additional qualifications in addiction psychiatry, and an adjunct professor at Harvard Medical School. Dr. Minkoff advised that there was no need for a “white paper.” The treatment protocol was out there. What was needed is to get people to start using it! He suggested that the harris project not think small: it should focus on transforming the entire system of care starting at the local level. With Dr. Minkoff’s aid, the harris project connected with Darcie Miller and Tom Balzan of the Department of Health in Orange County, NY who had begun working with the treatment protocol. It was heartbreaking that there was a protocol already written that could have changed the outcome for Harris and so many, but it was very helpful to not have to go through the process of developing one. In April 8, 2016, on the day that should have been Harris Marquesano’s 22nd birthday, the harris project convened the Co-Occurring Mental Health and Substance Use Disorders Integration Roundtable at Mercy College in Dobbs Ferry, NY. This event began the process of working towards the development of a co-occurring capable system of care, identifying strengths, weaknesses, opportunities and threats to success (SWOT). In attendance were the commissioners and deputy commissioners from Westchester, Putnam, and Orange counties, and representatives of Federal and New York state agencies including SAMHSA (the Substance Abuse and Mental Health Services Administration) and OASAS (the New York State Office of Alcoholism and Substance Abuse Services). Also attending were representatives of healthcare providers, hospitals, higher education, family members and peers. At the conclusion, Dr. Minkoff helped prioritize next steps. There were several follow-up meetings, and planning sessions. The initial goal was to have Dr. Minkoff lead training sessions with representatives from the 3 counties. In January 2017, the harris project founder, Stephanie Marquesano, was elected to the position of Youth Advocate for the New York State Regional Planning Consortium (RPC) Mid-Hudson region. The RPC is a regional board with community-based providers, peer/family/youth advocates, county mental health directors, healthcare entities, and managed care companies. The RPC is designed to promote collaboration, problem solving and system improvements for the integration of mental health, addiction treatment services and physical healthcare in a way that is data informed, person and family centered, cost efficient and results in improved overall health for adults and children in our communities. There are 11 regions across NYS, and the Mid-Hudson region encompasses Westchester, Putnam, Orange, Rockland, Ulster, Sullivan, and Dutchess Counties. 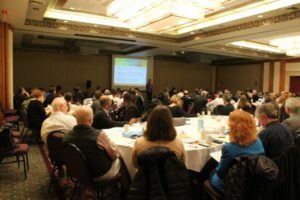 On November 13-14, 2017 the leadership forum “Creating a Welcoming and Integrated, Trauma-Informed System for Addressing Those with Co-occurring Disorders,” brought Dr. Ken Minkoff and his partner Dr. Chris Cline to our region to facilitate. All 7 counties of the Mid-Hudson RPC sent teams made up of county mental health directors, providers, hospitals, agencies, community organizations, family members and peers. Also in attendance were representatives from the NYS Office of Mental Health and the Office of Alcohol and Substance Use Services. Attendees worked in teams by county to contribute to the ongoing regional and county efforts to implement a more competent co-occurring system of care. This event was hosted by the WMC Health PPS in conjunction with the Mid-Hudson RPC. Among the almost 200 participants were 10 members of the harris project’s original 2016 Roundtable Integration Team. Special thanks to Commissioners Michael Orth, Mike Piazza, Darcie Miller, and Tom Bolzan for being true champions of this movement, Marcie Gisser Colon the Regional RPC Coordinator who included the harris project in the planning process, John Hamilton, an expert in co-occurring capable care from Mountainside Treatment in Canaan, CT for volunteering his time to provide support and perspective, and the leadership and representatives from across the region who participated and committed to this ongoing process of transforming the system of care as we know it to best meet the complex needs of the individual. 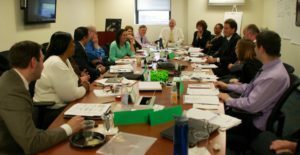 Based on the success of the November 2017 forum, the Westchester Department of Community Mental Health created the Co-Occurring System of Care Committee (COSCC). Co-chaired by the harris project founder, Stephanie Marquesano, Christa Latteri, the Director of Integrated Clinical Services at The Guidance Center of Westchester, and Chris John, the Dual Recovery Coordinator for DCMH, the focus of the COSOCC is the transformation of the system of care to one that is integrated and co-occurring capable – designed to meet the complex needs of the individual. Stephanie also consults with neighboring counties to aid them in this process. Continuing Education & Training, led by Chris John and Kathy Pandekaekes, Executive Director of Human Development Servicces of Westchester. Licensing & Regulatory, led by Christa Latteri and Susan Manzione a program director at the Westchester County Department of Community Mental Health. On May 7, 2018, the Westchester New York Department of Community Mental Health held the forum Building a Co-Occurring System of Care. More than 350 attended, with representation from every conceivable stakeholder group, ready to integrate treatment and change outcomes! The event was a resounding success thanks to the contributions of the keynote speaker Dr. Marc Fishman, Medical Director of Maryland Treatment Centers and member of the faculty at the John Hopkins University School of Medicine, who ensured that everyone understood the value of this work; County Executive George Latimer, DCMH Commissioner Michael Orth, Westchester County Government; Chris John from DCMH; Christa Latteri from The Guidance Center of Westchester; Drew Mullane from WJCS; members of the COSOCC; and special guest John Hamilton. COSOCC and the LCs continue to work diligently to transform the system of care. Dr. Minkoff returns on November 13, 14, 2018 to support next steps including the development of short and long term goals.